Is there a better alternative to Img4Web? 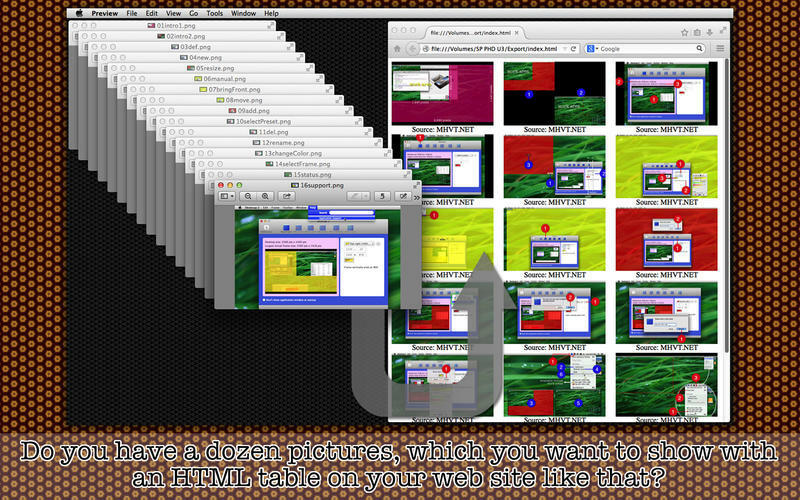 Is Img4Web really the best app in Image Editing category? Will Img4Web work good on macOS 10.13.4? 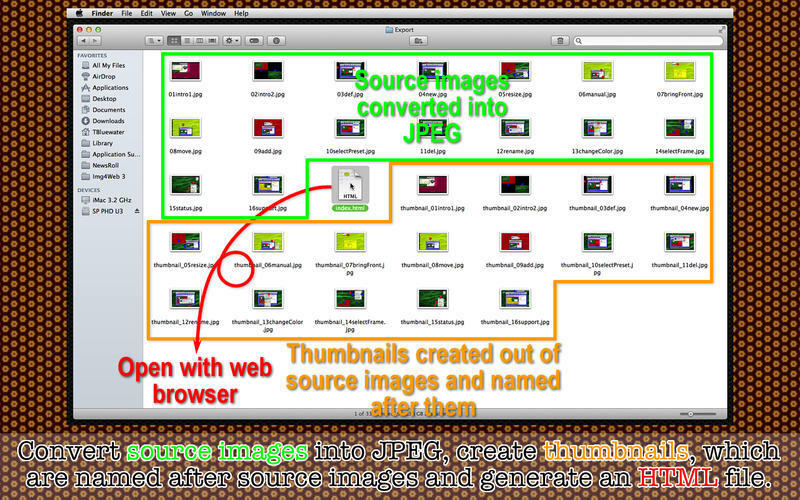 Img4Web is a batch image processor that allows the user to generate thumbnail images out of source pictures. 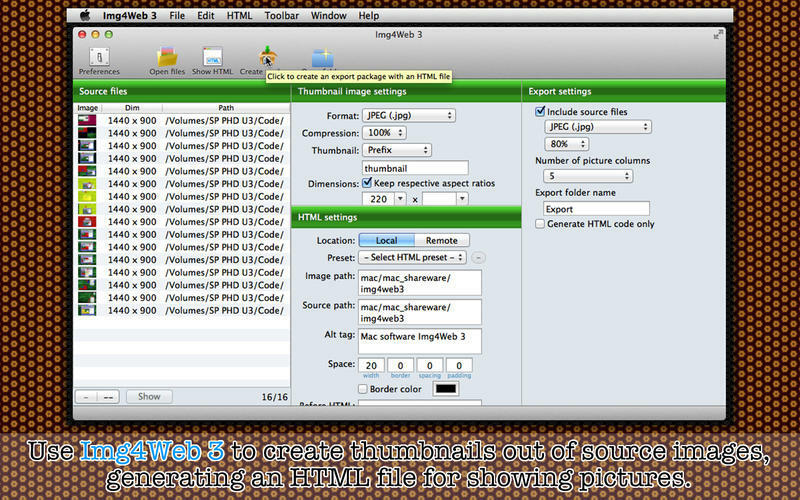 It's not an ordinary image processor because it will also generate an HTML code to encapsulate source and thumbnail images in a table. The user has options of setting or not setting the file name to the alternative tag. Img4Web needs a review. Be the first to review this app and get the discussion started! Img4Web needs a rating. Be the first to rate this app and get the discussion started!